Former President Chandrika Kumaratunga exposed as to how her immediate successor former President Mahinda Rajapaksa had demanded and received bribes from Chinese companies. 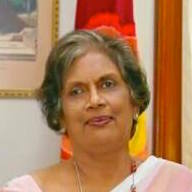 In a candid interview named ‘Sambhasana’ aired by the Independent Television Network on the 8th of November 2016, the former president Chandrika Bandaranaike Kumaratunga stated as to how her immediate successor and former President Mahinda Rajapaksa demanded monies to the value of 50% from all six projects she had signed with the Chinese government prior to her departure from office. She also stated that the Chinese Ambassador personally visited her at home in Colombo and complained that all six projects such as the Norochchali Coal Power Plant, Magampura Hambantota Port, Nelum Pokuna Theatre and the Katunayake Airport Highway were in danger of not going ahead due to the demands made by the Rajapaksa led government. The former President CBK citing an example said “After much scrutiny our government had found the best experts in China to complete the Norochchalai Coal Power Plant Project for US $ 280 million. However after Mahinda Rajapaksa took over office he had got down the contractors from China and demanded 50 % of that value from them. They said that it was impossible to part with that kind of money as even they were making only 25% profit from the project. He asked them to then ”get out’ and the signed contract and project was terminated. The Mahinda Rajapaksa led government then signed a new contract to the value of US $ 520 million with an unknown and inexperienced company in handling such projects. These are the reasons as to why even today we are having problems with the Norochchalai Coal Power Plant”. The former President in her hour long interview also covered several topics such as the disappearance and murders of Journalists Lasantha Wickrematunge and Prageeth Ekneligoda. Besides expressing her displeasure in the slow manner that the investigations were ongoing she also went on to express her dissatisfaction in the manner that even the exhumed skeletal parts of Wasim Thajudeen were handled.